Termite management for new homes prior to the year 2000 mostly consisted of hand spraying the soil substrate under the concrete slab, which was fine, however the useful life of the chemical would decline over a period of time and allow termites to gain access to the building. Generally these termite management system treatments needed to be renewed to be effective. After the year 2000, termite management systems installed into buildings needed to last the life of the building or at least be able to be renewed. Generally the type of termite management systems can be divided into 2 main types which are physical termite termite management system and chemical termite termite management system. These systems can be used together or separately to deliver termite protection. The physical termite termite management system are typically constructed from materials such as Stainless Steel mesh, Plastic sheeting which is impregnated with chemical, Metal strip sheeting, fine stone and glass particle termite management system. There is also some paint on style physical termite management system. Chemical soil termite management system are a liquid termiticide chemical which is usually distributed onto the soil to deter termite entry to the building. 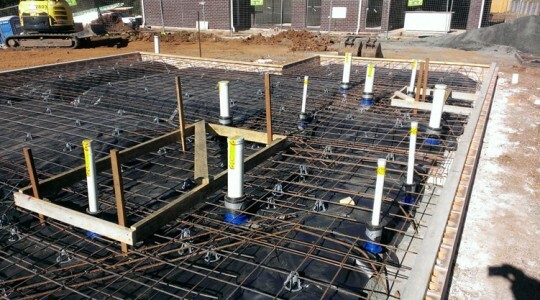 These systems are usually incorporated into buildings at the construction stage, which usually means under the concrete slab for new homes and extensions for slab on ground style homes or in the external wall cavity. There is a wide variety of products on the market which can be used for this purpose and each product may suit different building applications better than others. At Ozzie Pest Control we adapt different products to suit the building construction style and the environment that the building is situated. Ozzie Pest Control is accredited to install the Kordon physical termite management system and the Altis Chemical Reticulation systems for pre-construction and post-constructions situations in your home. Only when you fully understand building technique and construction style can you understand and properly protect a building. Coupled with an understanding of how termites attack a building, Ozzie Pest Control is your best choice to provide peace of mind termite protection to your home. If you are building your new home or renovating an old home, call Ozzie Pest Control now for the best products and advice. We are proud to offer the following products. Altis reticulation system allows Ozzie Pest Control to provide chemical distribution to internal and external building perimeter, plumbing penetrations, cold joins, driveways, patio slabs and extensions. 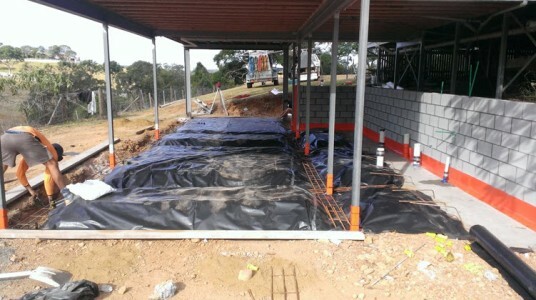 When this system is installed to your home, you have a convenient and economic method of re-treating your home without the fuss of drilling your concrete slabs. A real value adding method of termite protection for your home. Kordon termite management system is a chemically impregnated physical product which is installed to underslab plumbing penetrations, electrical and water supply penetrations, perimeter slab edge and wall cavity, full underslab protections, retaining wall protection, steel support posts, cold joins, driveways and patio / paths around your home. You need it protected, we have a way.